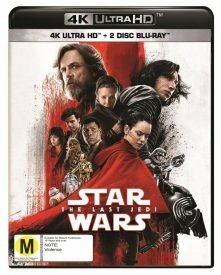 Star Wars VIII: The Last Jedi is the retail force to be reckoned this Easter, going on sale in five different Blu-ray editions, including 3D and 4K-UHD. The Digital Bits reports it was finished as a 4K Digital Intermediate, given high dynamic range colour grades in both HDR10 and Dolby Vision, and is presented on 4K Ultra HD Blu-ray in the 2.39:1 theatrical aspect ratio. Steve Yedlin’s cinematography (and the stunning production design, inspired in part by Kurosawa’s Ran) is bold and striking, and this 4K image represents it perfectly. Detail and fine texturing is absolutely exquisite. 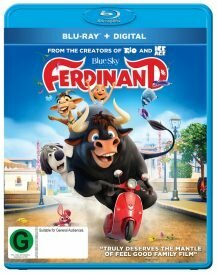 Ferdinand misses out on a local 4K-UHD release but lands on Blu-ray with “a bold and beautiful 1080p 2.39:1 transfer,” High-Def Digest said. Image accuracy to life-like creatures isn’t what this movie is about. It’s about the colours and the design. On that note, this flick is a real winner. Virtually every scene is an explosion of primary colours. 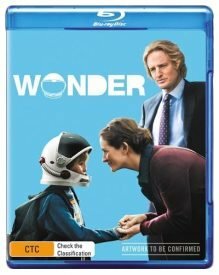 Wonder also comes with a wondrous transfer, Blu-ray.com reports. While there’s not a lot of visual “wow” in this film, due to a basic storyline that is largely confined to either home or school, detail levels are routinely quite high throughout the presentation, even in some darker moments. 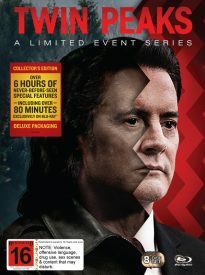 Twin Peaks: A Limited Event Series at last goes on sale, four months after its US debut. “Prepare to be blown away by the A/V quality,” The Digital Bits said. As expected, this is a gorgeous presentation with incredible depth and no flaws whatsoever. Though captured (mostly) digitally, the image amazingly textured, with even grain and high levels of fine detail that results in a very filmic look. 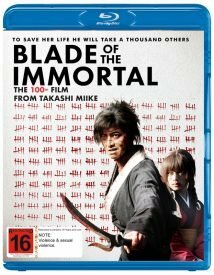 Also new are Blade of the Immortal (“clean, crisp, and bold looking”) and The Man Who Invented Christmas (“a very capable and agreeable 1080p presentation”) while Western fans can thrill to Winchester 73’s Blu-ray debut. Australasia looks like being the first market in the world to enjoy the 1950 classic on the format. But since distributor GDE Entertainment reports the Blu-ray doesn’t have any extras, fans shouldn’t turf their DVD copy just yet if it’s the version with the James Stewart commentary recorded for the Laser Disc release. One Home Theater Forum user has given the new transfer a “B” grade. It looks nice to me, nothing spectacular. I watched it as a 106″ projected image. It may have a bit of enhancement in some scenes and one early bar scene was a bit grainy but overall I am happy with it. 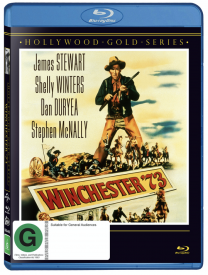 Hopefully Stewart’s best western, The Man From Laramie, is in the wings, given it’s been widely distributed on Blu-ray in Europe and the US. Also being dusted off for Blu-ray are Marie Antoinette, Loser and Mysterious Island. Back to the Future for Sky? Trevor, what’s your view of films made in 2D (like The Last Jedi) and converted to 3D? Are you a purist and only buy films made with 3D cameras or don’t you mind too much and happy to buy 2D – 3D converted films? True purists do not watch 3D lol Last Jedi looks great on BD but being Disney, if you want Atmos sound, you pay extra for the 4k UHD. Speaking of sound, who was the idiot who decreed the 3D Blade Runner 2049 would only have lossy Dolby Digital sound ?? ?